Chances are that you may have already heard about Apples plans to build a new Apple campus for their company. It’s been quite some time since the first images of the design that the new headquarters will have have been uploaded on the Internet. 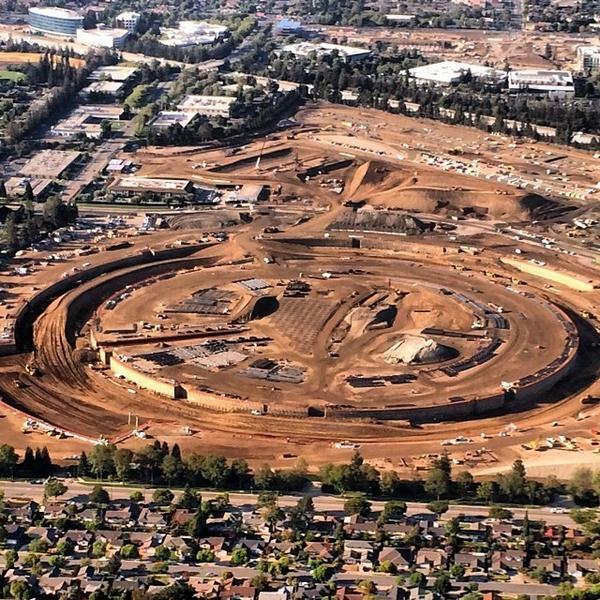 Well, not long ago, actual images of the new apple campus from the construction site have been twitted by KCBS news. How do they look? Well, quite impressive. It seems like Apple was serious and that the public wasn’t wrong when they said that the campus will look like a spaceship out of a sci-fi movie. It seems like the perimeter walls of the actual building are close to completion. Another interesting thing worth mentioning is that a few reports of possible underground tunnels have also been made, thus making this interesting campus look even more like what people compare it to. It has also been said that the campus will feature things like a huge fitness centre, an even bigger auditorium and a parking space suited for holding around 2300-2500 cars in total. Additionally, recent reports have also stated that the Apple campus will run fully on renewable energy sources. To be frank, a big tech company like Apple does indeed need such a campus. Not only is it impressive now, but imagine it when it finally comes together. 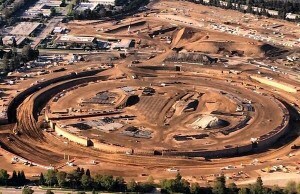 Do you think the new apple campus will look as impressive as it sounds?